What started as a working farm more than 100 years ago has now become a fun fall family destination and a full-service wedding and events venue. Welcome to the farm! Hop on over for some fun on the farm! Breakfast buffet, photos with the Easter bunny, an egg scavenger hunt, and a great time with family! 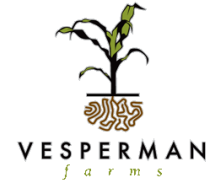 ​Check out our blog, Stories From the Farm, to learn more about us. From events to farm animals to pumpkins and more, we blog about it all at the farm. ​A beautiful, rustic barn. A full-service venue. The wedding of your dreams awaits you here. From our many hosted events (like Breakfast with the Easter Bunny and farm-to-table dinners) to holiday parties to anniversaries! Click the link to learn more. ​Get lost in our corn maze, visit our pumpkin patch, and enjoy fun for the whole family! Open every summer for strawberries and raspberries - click the link for more information! ​Purchase items year-round from our store. ​​Fall items, t-shirts, merchandise, and much more!